Novacare was host to a number of interested visitors on Saturday 11 February 2017 at our Open Day. Whilst the rain held off for the afternoon it was a day enjoyed by all those that ventured out for the afternoon. 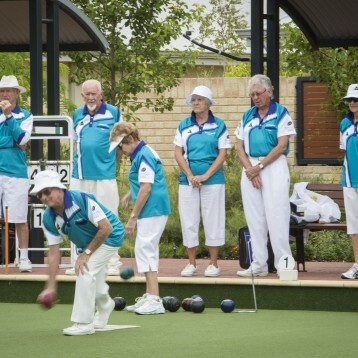 Visitors were able to inspect our quality homes, resort style Clubhouse facilities, inspect the range of craft on display in our well used Craft Room and watch our Broadwater Bowling Club display their talents on our Village bowling green. All this whilst being entertained by a Local Vintage Jazz band and enjoying a cup of tea / coffee with a Simmo’s Icecream on us!! If you missed out on our open day give our Sales Manager – Ron Hodge a call on 9751 1466 and he will be more than happy to organise a tour for you of our Novacare Retirement Village. One of the 4 finalists in the Property Council Retirement Village of the year in 2015 the Novacare Village in Busselton is rated as one of the best retirement villages in Australia!